North Dakota geologists are taking another shot at trying to identify a local source of sand suitable for use in hydraulic fracturing operations. ND State Geologist Ed Murphy, in a recent presentation to the legislature's interim Energy Development and Transmission Committee, said NDGS is reviewing a previous study of sand samples conducted in 2011, and plans to acquire additional samples for testing. 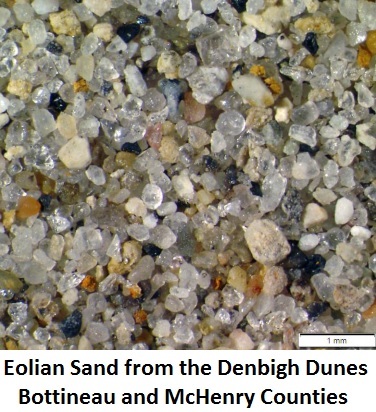 Murphy said the best sand is fairly round in shape, and must be highly crush resistant to hold open rock fractures created by the fracking process. "In the Bakken the fracture stress is around 9,500 pounds per square inch or higher, so you want a proppant going in there that can withstand at least 7,000 psi," he said. Murphy said if crush tests on samples produce more than 10 percent fines, the sand is considered unacceptable. He said some North Dakota samples come close to the industry standard and could be processed to get them closer. Because the industry is lowering its standards, Murphy said it could "open the door" for North Dakota sand. Identifying a local source could save the industry a substantial amount, Murphy said, because drillers today typically use much more frac sand than just a few years ago. Click here to see Murphy's slide presentation. The Executive Committee of the Western Dakota Energy Association voted unanimously this week to approve a motion to go on record in opposition to Measure One on North Dakota's November ballot. Proponents of Measure One have billed it as an "anti-corruption" measure, but WDEA Executive Director Geoff Simon told board members it's really an anti- Free Speech measure. Simon said the measure's broadly-written disclosure provisions would impose onerous reporting requirements on groups and individuals who engage in public policy discussions. He said the measure would force most trade associations and many private charities to disclose their donors. "Because those disclosure requirements tend to have a chilling effect on the First Amendment rights of individual citizens' to freedom of speech and association, they would almost certainly be found unconstitutional," Simon said. The measure would also create a new North Dakota Ethics Commission, which would go into existence without any implementing legislation, or any limits on its powers or standards governing its investigations. The commission would be free to write its own rules, which would have the same effect as state law. Without adequate safeguards, the ethics panel would be prone to abuse for partisan or ideological advantage. 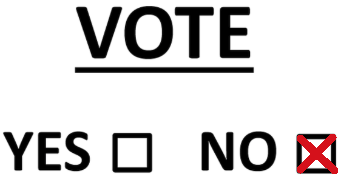 Because the ballot measure would amend the North Dakota Constitution, the state legislature would not be able to modify the language if it passes in November. The dangerous measure also contains a supremacy clause, meaning its provisions overrule any part of the constitution with which it may conflict including Article 1, which outlines the rights of North Dakota citizens. 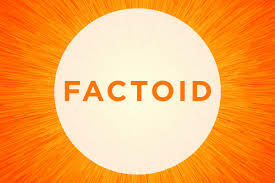 Click here to read a fact sheet outlining other concerns with Measure One. A discussion of a few contentious issues associated with permitting oversize oilfield trucks will highlight the opening day agenda of WDEA's annual meeting, scheduled November 7-8 at 4 Bears Casino and Lodge in New Town. 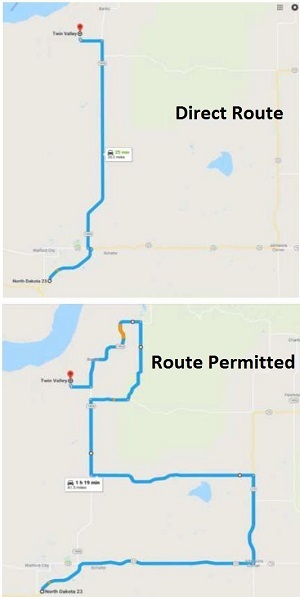 One of those issues came to light this week in a letter from McKenzie County Commission Chairman Doug Nordby to the ND Department of Transportation regarding an incident in which an oversize truck was routed off state Hwy 1806 onto county roads. Nordby, who also serves on WDEA's Executive Committee, said the county was especially frustrated by NDDOT's action because there was no construction or other restriction on 1806. He said re-routing the truck added over 20 miles on county roads, and over 30 miles total to the trip. Nordby's letter reminded NDDOT of its promise during the 2017 Legislature to work with the industry to move truck traffic on the most efficient route. The annual meeting agenda features an update on WDEA's LoadPass permit system, to be followed by panel discussion of permitting issues. Registration is now open for the two-day event. Sponsorships and booth space are also available at the meeting. Click here to see the sponsor/exhibitor form. 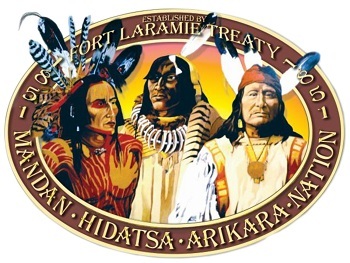 Six candidates will square off for the chairman's seat in the Three Affiliated Tribes' primary election to be held September 18. Current MHA Nation Chairman Mark Fox is seeking re-election to a second term. Challengers include former chairmen Tex Hall and Marcus Wells, as well as Kermit Heart, Scott Satermo and Jasper Young Bear. If no candidate receives a majority in the primary election, the top two vote-getters will face off in the general election on November 6. Three seats on the TAT Business Council are also on the primary ballot. Eight candidates have been certified in the race to represent the Four Bears Segments. Candidates include current Councilman Frank Grady, and challengers Lawrence Baker, V. Judy Brugh, Russell Deane, Kevin Finley, Hazel A. Heart, Marcus D. Levings and Wendi R. Wells. Mervin Packineau is seeking re-election in the Parshall Segment where he is challenged by Delvin Rabbithead Sr. Three candidates are running to represent the Twin Buttes segment including current Councilman Cory Spotted Bear, and challengers Phyllis Lincoln-Steen and Leon Little Owl. Click here to see the official list of candidates. Crews will begin work Tuesday on one of the Interstate 94 bridges at Medora, which will require westbound travelers to take a detour. The work on the overpass bridge at Exit 27 will require closure of the westbound ramp into Medora. Westbound drivers can still use Exit 24. Eastbound motorists can still use the Exit 27 on-ramp. Construction consists of a deck overlay, guardrail and signage. Construction is in progress on I-94 bridges over the Little Missouri river at Milepost 24. There will continue to be a 12-foot width restriction in place, eastbound and westbound. Wide loads will need to find an alternate route. The project is expected to be complete in late October. 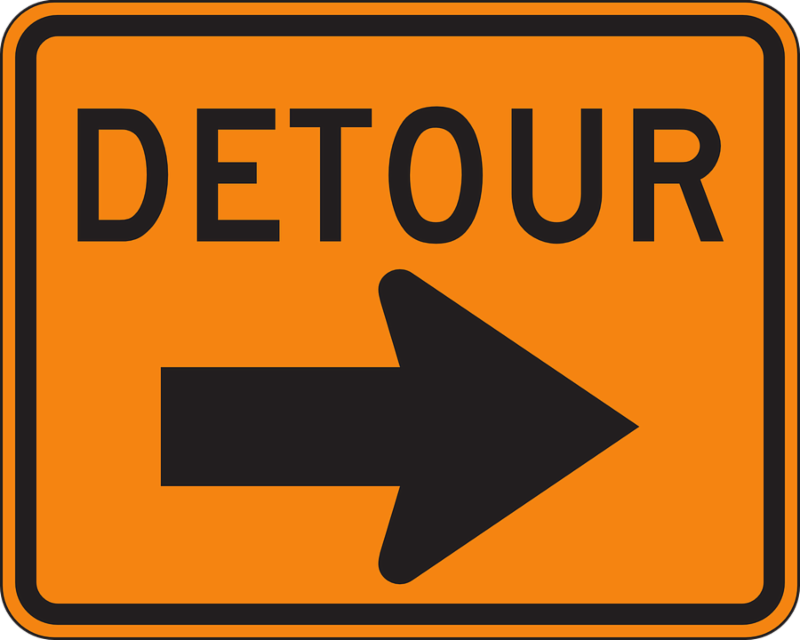 Click here for the NDDOT road construction map. 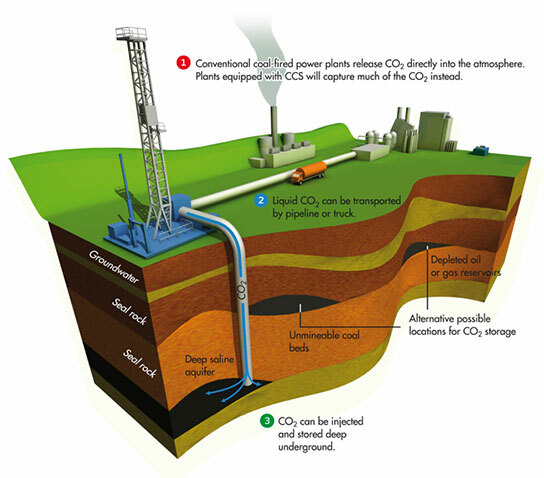 The University of North Dakota will get $3.4 million from the U.S. Department of Energy to study underground storage of carbon dioxide. Another $900,000 will be needed to fully fund the study project, bringing the total cost to $4,369,629. The University of North Dakota Energy & Environmental Research Center will establish the Williston Basin C02 Field Laboratory on the western edge of the Williston Basin in Montana. Click here to read more from EIN News. 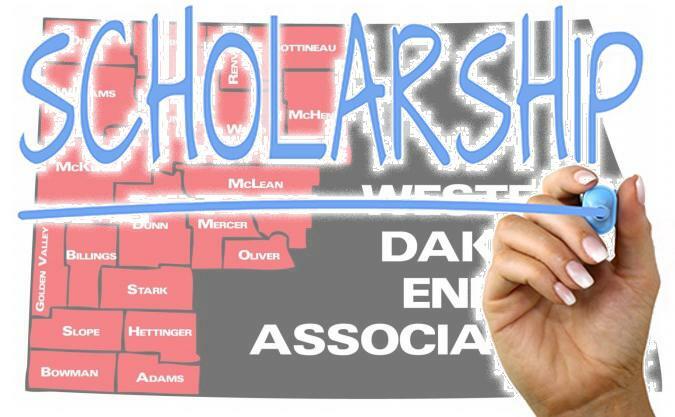 The WDEA Executive Committee voted this week to extend the application deadline for the energy scholarships it's offering this fall. The deadline had been today, but was extended to September 14. "We opened the application period earlier this year about the time schools were dismissing for the summer break, so a lot of high school students may not have heard about the opportunity," said WDEA President Gary Wilz. "With classes back in session, we thought it would be a good idea to give high schools seniors a couple more weeks to apply for a scholarship." The association is offering five $1,000 scholarships to students interested in pursuing a career in the energy sector. It is open to students who are enrolled in, or plan to enroll in either college or technical school. The application process is easy. Students are asked to complete a one-page form, write up to a 300-word essay describing their interest in energy development, and include a recent transcript. Additional supporting documents may also be included. Click here to view or download the scholarship application. 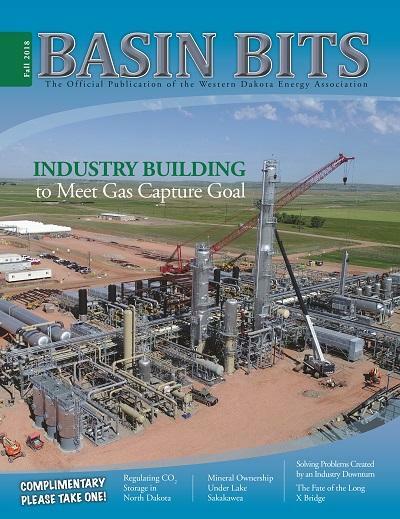 The fall edition of WDEA's Basin Bits magazine featuring a look at industry efforts to meet North Dakota's gas capture challenge will be landing in mailboxes in the next few days. This edition also includes articles about the state's newly-acquired authority to regulate carbon dioxide storage, the dispute over mineral ownership under Lake Sakakawea and a status update on construction of the Davis Refinery near Belfield. The magazine also contains feature articles about the petroleum engineering program at the University of North Dakota, and a look at the dilemma facing the Long X bridge south of Watford City. Those who can't wait to get a hard copy in their mailbox can click here for an online version. As of the first of the year, there were a total of 135 operable petroleum refineries in the United States. That's down from 143 in 2013. The newest refinery in the United States is the Magellan Midstream Partners LP 42,500 barrels per calendar day condensate splitter in Corpus Christi, Texas.